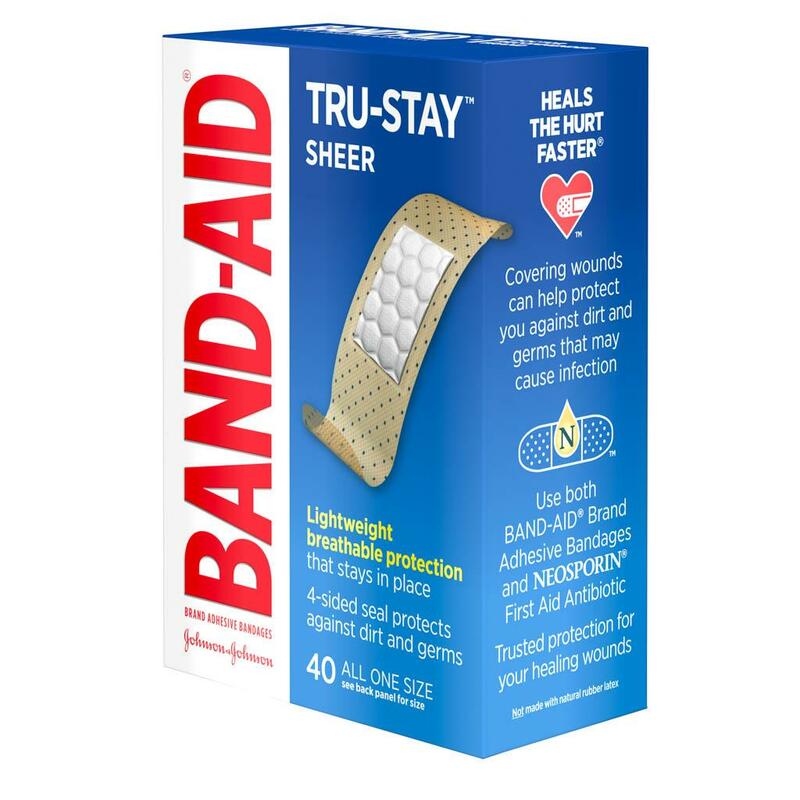 BAND-AID® Brand TRU-STAY™ Sheer Bandages offer comfortable, sheer protection of minor cuts and scrapes. 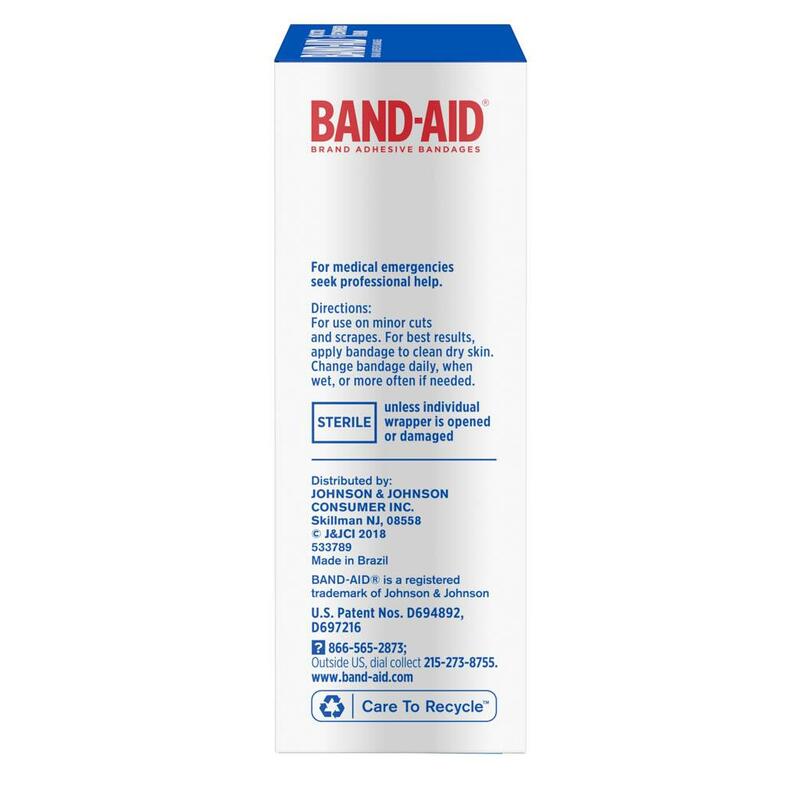 These BAND-AID® Brand Adhesive Bandages provide lightweight, breathable protection. The MICROVENT® backing of these sheer bandages provide superior breathability. 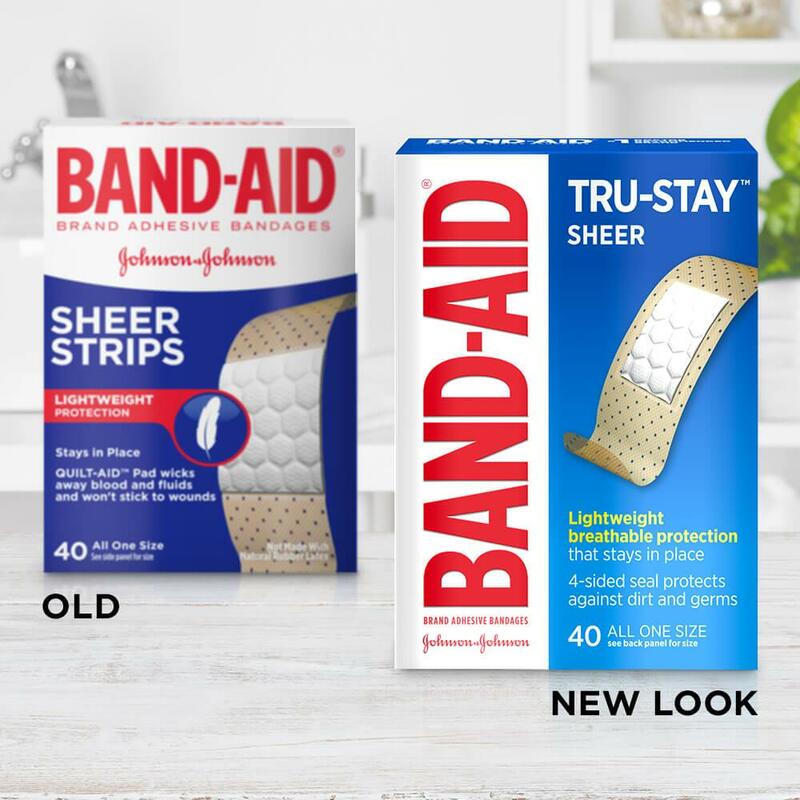 These BAND-AID® Brand TRU-STAY™ Sheer Bandages are also made with a unique QUILT-AID™ Comfort Pad that is designed to cushion painful wounds while you heal. 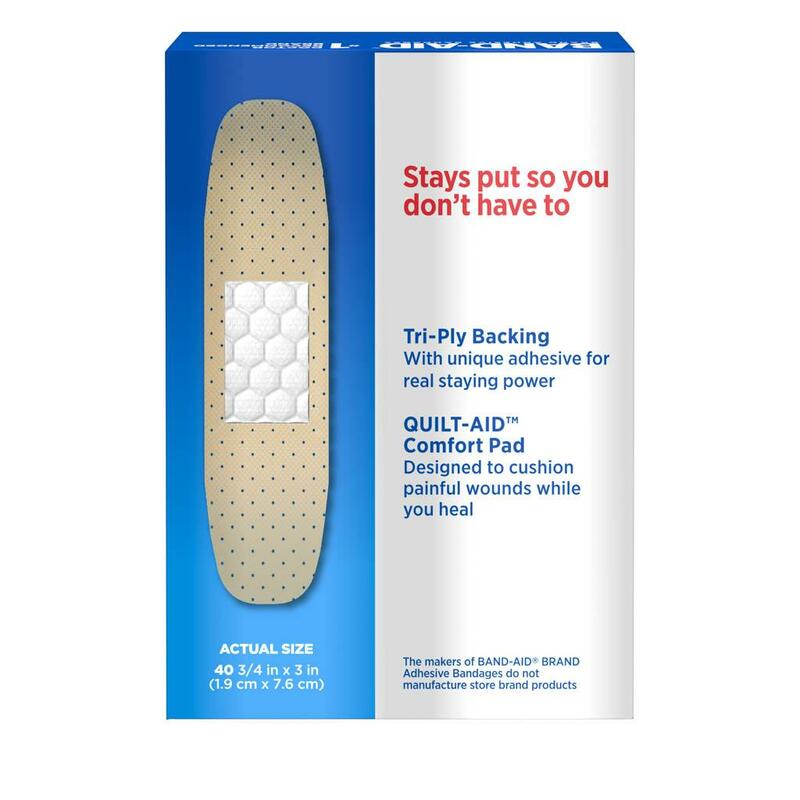 The HURT-FREE® pad won’t stick to the wound, allowing for gentle removal. 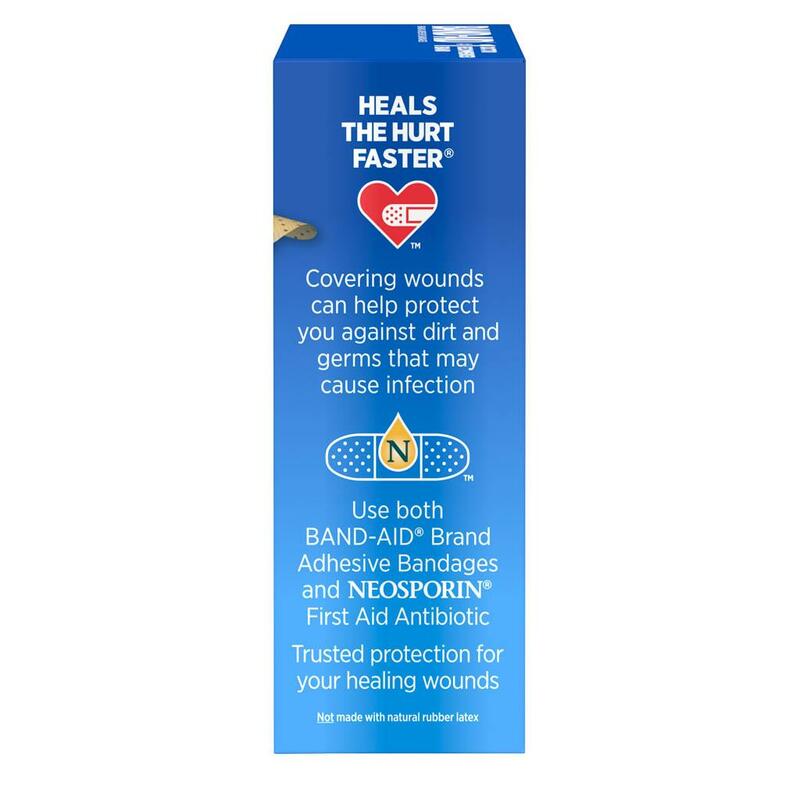 This package includes 40 sheer bandages that are all one size.